The bank said that the case was an “isolated occurrence”. THE WORKPLACE RELATIONS Commission (WRC) has criticised a major bank for letting a man with a conviction slip into its workforce. The man was taken on by KBC Bank in July 2017 even though background checks conducted at the time revealed that he had been convicted of an offence in 2015, which would have disqualified him from the position. A WRC adjudication officer said that the HR administrator dealing with those checks was a temporary employee and did not highlight the issue with a senior member of staff. He added that the way the bank’s HR personnel managed the checks was “sloppy” and “reports of this important nature should not be left to junior temporary administrators”. He recommended that the bank’s HR personnel look at this process to “prevent the likes of this happening again”. These comments were made during a ruling that found that the contract worker was not unfairly dismissed. The WRC pointed to the KBC staff handbook and code of conduct, signed by the contract worker, which included the clause that the Unfair Dismissals Act “shall not apply to a dismissal consisting only of the fixed term of this contract without it being renewed”. The man commenced employment at KBC as an agency worker in July 2017 when he secured a fixed three-and-a-half-month contract. Before taking the post, he was required to disclose if he had been charged or convicted of a criminal offence or if he was the subject of a criminal investigation. On learning of the man’s prior conviction on 8 November, which would have prevented him from being hired in the first place, the bank instructed him not to come to work the following day. He was paid his full salary until the last day of his fixed-term contract, which was 30 November. The bank told the WRC that the man “was not dismissed from employment nor was he subjected to any disciplinary hearing”. The worker argued that the results of the background check should have been the subject of an investigation and he should have been afforded the opportunity of an appeal. He argued that the full facts should have been established and investigated, the outcome of an investigation should have been made known to him, and a disciplinary hearing should have been arranged. 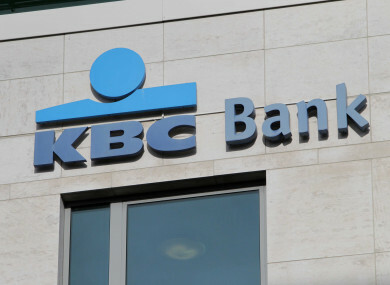 A spokesperson for KBC said the bank cannot comment on individual cases. “The bank has policies and procedures in place to ensure that full compliance checks are completed. This case was an isolated occurrence,” they added. Comments are closed for legal reasons. Email “KBC labelled 'sloppy' for hiring worker with prior conviction”. Feedback on “KBC labelled 'sloppy' for hiring worker with prior conviction”.